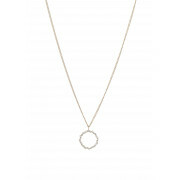 Keeping it simple Dyrberg Kern have designed the perfect versatile piece. 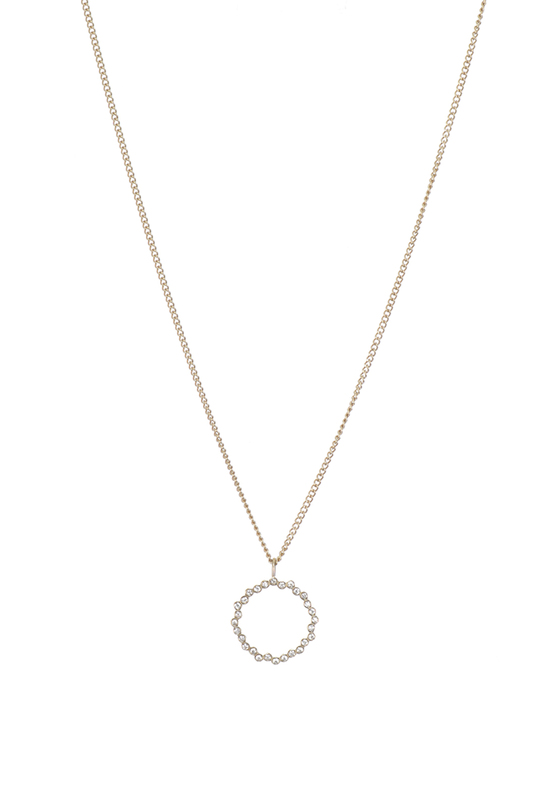 The gold necklace that holds a round circle like pendant is encrusted with white clear facet-cut crystals for just enough sparkle to carry you from work attire to night time glam. Team up with the matching earrings and ring for the full sparkling collection.